If you are missing one or more teeth, Dr. Shawn Van de Vyver, your dental implants Shelby local expert, may suggest dental implants as an excellent tooth replacement method. A popular advancement in restorative dentistry, dental implants allow our team at Great Lakes Dentistry to replace a single tooth or your entire smile, based on your individual needs and goals. Dental implants are a surgical treatment that is completed over the course of many months; our entire dental tem is here to guide you through each step of the treatment process. There is no reason to go another day without a brand-new smile that looks beautiful and functions properly. If you would like to see if you are a candidate for dental implants in Shelby Twp, Michigan, we invite you to call and schedule a consultation with our office. We are excited to help restore your smile! At Great Lakes Dentistry in Shelby, we use the very latest in 3D x-ray technology, called cone beam CT, to evaluate your bone level and determine if dental implants are right for you. This is the newest technology available today to completely visualize the bone and surrounding areas for your dental implant, to make sure the procedure goes smoothly. Only dental offices with the latest cone beam CT technology are able to place dental implants with best accuracy and success. If you would like a complimentary consultation to find out if you are a candidate for dental implants, call our office to schedule an appointment today. Dental implants are placed by Dr. Shawn Van de Vyver at Great Lakes Dentistry in Shelby for several reasons. You may have heard of a crown, or cap, to cover and replace the part of the tooth you see when you smile, the crown. A dental implant replaces the part of the tooth that is in your jawbone, the tooth root. There are several different types of dental implants, so a comprehensive treatment plan and x-ray diagnostics are required prior to treatment. called abutments. 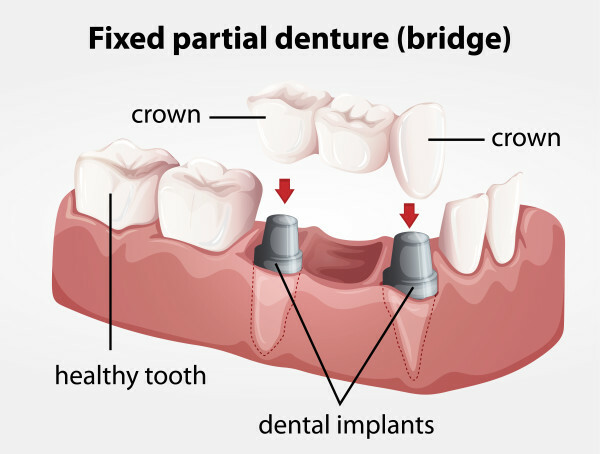 An implant abutment, or connector, allows a laboratory made tooth, or crown, to be cemented to the implant body. There is no reason to go another day without a beautiful new smile that looks wonderful and functions properly. If you would like to see if dental implants in Shelby Twp., Michigan, are right for you, we invite you to call and schedule a complimentary consultation with our office. We are excited to help restore your smile!